According to "Whois Ibaraki-airport.net", Ibaraki-airport is owned by Okawa Junichi of Ibaraki Airport Promotion Council since 2017. Ibaraki-airport was registered with GMO Internet Inc. d/b/a Onamae.com on March 16, 2009. Okawa Junichi resides in Mito-shi, Japan and their email is kutai@pref.ibaraki.lg.jp. Earlier, Ibaraki Airport owners included Tozawa Masahiko of Ibarakikenkuukouriyousokushintoukyougikai in 2011. The current Ibaraki-airport.net owner and other personalities/entities that used to own this domain in the past are listed below. If you would like to share more "whois" details on Ibaraki-airport with us, please contact us! If you are Ibaraki-airport owner and would like to increase privacy protection level for your data - please, deal with GMO Internet Inc. d/b/a Onamae.com which is your site’s registrar. 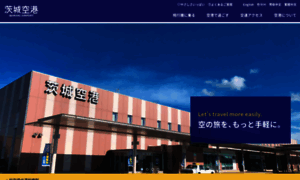 Whois history of Ibaraki-airport.net is provided using publicly open domain data.